For much of Pakistan, and the rest of the world, this was the first time people had heard of Tahirul Qadri. Before he rose to eminence, Qadri was best known for the altruistic and educational activities of his international religious charity, the Minhajul Quran Foundation. He also issued a 500-page long fatwa against terrorism at London’s Wembley Stadium, securing his place amongst the moderate clerics in the Islamic spectrum. In just a few weeks’ time, he became part of the defining political movement in Pakistan in 2014 – the Islamabad Long March. Perhaps the aspect of the movement that drew the most attention was one which Qadri was most personally vested in – the Model Town incident on June 17, 2014. The incident drew the attention of national and international audiences while typically divergent political factions united behind the Pakistan Awami Tehrik (PAT), Qadri’s party, to denounce the excesses of the Punjab police. Many individuals saw this as a direct consequence of Shehbaz Sharif and Nawaz Sharif’s involvement in the incident. Qadri was hence propelled to the international stage on the back of tragedy and used his new position to stall government machinery in the nation’s capital with fellow populist leader, Imran Khan. Their demand was simple, that Nawaz should step down from office since the elections which had propelled him to premiership were illegitimate. Three years later, Nawaz is out after the Supreme Court’s verdict, but Qadri is back to “claim justice for the victims of the Model Town incident”. 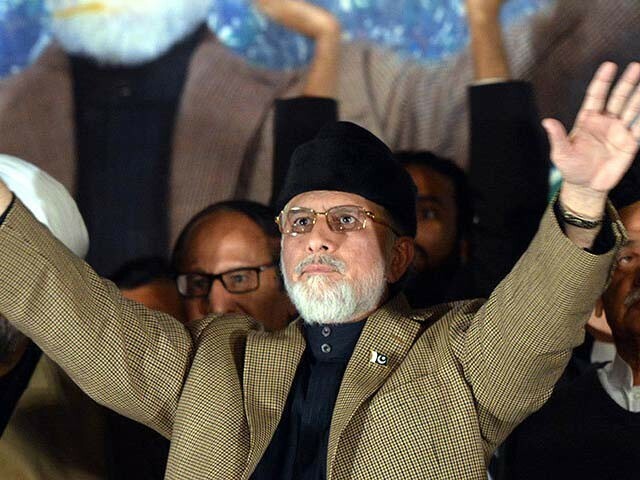 Two days after Pakistan’s Independence Day, Qadri is set to lead a sit-in on Lahore’s busy Mall Road. This isn’t the first time Qadri has returned from Canada, where he lives, to demand justice. In 2016, Qadri led a sit-in at Rawalpindi, demanding justice for the families of the Model Town victims. In January 2016, the PAT chief decided to enlist himself as a party in the Model Town incident. Qadri’s actions are a classic case of the oft-mentioned legal division between mens rea and actus reus –the intention and the act. For many, Qadri’s sermons and fatwas as a cleric are a breath of fresh air for Pakistan’s suffocating conservative cleric-dominated group of religious experts. In addition, the recommendations he has given for electoral reform, particularly those pertaining to electoral malpractice, are not only constructive but also well informed. He was, after all, a professor of constitutional law at the University of Punjab. Moreover, his work through the Minhaj Welfare Foundation, which provides emergency aid, health care, welfare support, education to the poor and those affected by natural disasters on a global level, is certainly worthy of commendation. However, here is where mal-intent intertwines with benevolent action, as it so often does in Pakistan. Jamaatud Dawa (JuD), despite its extremist ideology, has won the hearts and minds of millions because of its almost unparalleled non-government involvement in disaster relief, education and healthcare. Similarly, the Benazir Income Support Program (BISP), hailed by economists and social activists alike, has been seen as a pawn used by the Pakistan Peoples Party (PPP) to mobilise support in rural Sindh. Qadri’s actions might not fall into this category, but it is important to analyse the Model Town incident once more before we pass judgment. I am a resident of Model Town where Qadri’s Minhajul Quran Foundation is headquartered and where the massacre of 2014 took place. In the days preceding the incident, it was nearly impossible for local residents to leave their homes. Men armed with sticks patrolled the streets, evoking images of an enforced martial law. In fact, the barricades that hinder mobility within the area – the stated reason for the police clashes in the first place – remain to this day, a blatant violation of not just zoning laws but also municipal authority. Qadri’s movement and his reasons for it were arguably justifiable, but the means with which his followers conducted themselves evoked more fear than respect from Model Town’s citizens. And they continue to do so today. There is a chance that Qadri’s return this year is indeed altruistically motivated – to seek redress for innocent protesters who were killed while exercising their constitutionally guaranteed right to free speech. At the same time, Qadri’s inflammatory rhetoric against all things government, coupled with the fact that it is simply impossible to control the actions of every zealous follower, worry those, like myself, who were witness to the tragedy of 2014. We are hopeful that his scholarship and following can bring about positive change in democratic and religious discourse, but we are also afraid of the possible violence which might precede it. Until these apprehensions that the people of Model Town hold are addressed, Qadri cannot be a leader of the people. What do you think of Tahirul Qadri returning to Pakistan? Why is he coming back after three years? I'm glad he's coming back, he may get justice for the Model Town victims. of “competent authority” meaning Chief Minister Shahbaz Sharif. Law Minister of Punjab had to take the blame. Had to resign. known as Khadim e Ala or Munna Sharif or Showbiz Sharif. expert in Washington DC. .
Wonder how many Pakland secrets he sold to get his ‘green card’. And a monthly stipend at the Hudson Institute. Fox News institute? The blogger is 3 years too late with his anti Tahirul Qadri summation. He should look in the mirror, he will see Sharif, Sharif & Daughter Esqrs. 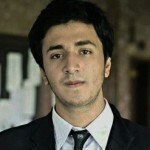 Mr. Hamza, I was stupefied by the title of your blog and thought to read it before assuming the content of your piece. You have mentioned his literary and scholarly contributions before analyzing his political take against the government, which is much appreciated. After reading your blog, I gathered that you have missed quite a prolong and continuous efforts on part of PAT and Mr.Qadri with reference to Model Town incident. Being an observant on the case I can tell you that they are fighting this case on many parallels. They are making efforts to seek justice since that day of the incident till today. They have lodged FIR against the alleged killers which was achieved after getting notified by session court’s order and the than COAS’s intervention during thrir two months long sit-in in the country’s capital. They have filed several writ petitions in LHR and SC to publish Najfi commission report, but all in vain. They are fighting thr case in ATC as well despite several disappointments from the honorable courts. They have continued a series of demonstrations across the country. I think we all know why he is coming back. Vultures can smell freshly killed prey in our political environment. Comment was edited by india lovers at ET. No justice? No closure there? There were 7 FIRS filed. Nothing yet. Sharif entourage/cabal, or the most corrupt ruling family of Punjab. Raiwind Palace. Totally blocking off roads, lanes, streets, byways. Nawaz is a private citizen now. So why is everything blocked off? movement. Nothing wrong with that. So does Mulla Fazl of JUI-F.
Nawaz Sharif and his brother who is Chief Minister of Punjab. Ja’ Dawa has party members, who run for and hold political offices!!. This is the same Qadri who was not allowed to disembark from an Emirates flight in Lahore by Sharif Bros. goons and thugs. Last year.